Pineapples are a strong source of vitamin C which supports the immune system. It aids digestion, and provides anti-inflammatory ingredients/benefits. It also supplies manganese an essential mineral for generating energy and antioxidants. it is also said that 76.5% manganese can be found in one cup which is basically the daily recommended amount. They only ripens on the plant. During the final weeks of ripening, its content consisting of sugar and active ingredients is said to double. It is best to harvest and eat pineapple that is ripened on the plant based on the fact that prematurely harvested fruit becomes very acid-tasting and as a result lacks the essential nutritional values and components. When it is properly matured, it contains approximately 11% carbohydrates, and is mostly sugars. However, the quantities of fat and protein are so small they can be ignored. This Tropical fruit is a good source of folates and contains vitamins C, B1, and B2. It also contains other minerals namely; Copper, Potassium, magnesium, and iron. The compound in pineapple are very important when taken from a dietary and therapeutic perspective. You can extract the nutrients and enzymes by using an extractor (such as the Nutri Bullet) to pulverize and break the walls of the fruit and releasing the nutrients. This way you 100% food benefits from your fruits and vegetables. Even though the taste is acidic, which is cause by the Citric and malic acids in the fruit, like many other citrus fruits, these are the enzymes that triggers the action of vitamin C.
Again, even though it is rich in acids, the health benefits function as an alkalizer when seen from a metabolic point-a-view, in essence it acts as an antacid, just like it happens with lemon and other citrus fruits. The fruit contains a protein-digesting enzyme called Bromelain, (it is also known as Bromelain) which has the ability to break down protein and then releasing amino acids that form them. As a result of this capability, the food indistry has been using bromelain as a meat tenderizer. Bromelain breaks down protein in the digestive tract and aids digestion in the same way as the stomach's own pepsin. The Health benefits are rich in certain vitamins and minerals. It is a very delicious fruit. All this information is free to help you take control of your health and wellness to achieve longevity pertaining to ultimate health. Your health is your only and greatest asset given to you and it's your responsibility and obligation to take the best care of it. I challenge you right now to invest some quality time in your health. I implore you to listen to Rachel as she Present some interesting facts on the fruit health Benefits. The videos below provides tips and information about the health benefits in a very simple but profound way that is easy understood. It will greatly enhance your knowledge on how to prepare this delicious, nutrients packed fruit and obtain maximum nutrition for consumption from it. 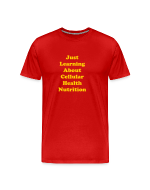 It is certainly worth taking the time to listen and gain the knowledge from these highly experienced and knowledgeable nutritionists. Pineapple & Scrolls Garden Flag, 12.5" x 18"
Pineapples are exotic and delicious fruit with its rich high content of vitamin C which helps to repair free radical damages to our system. It contains strong anti-inflammatory agent called bromelain which helps to prevent inflammatory disease such as osteoarthritis and rheumatoid arthritis. Bromelain is also a digestive aid that helps to break down protein. Please take a moment and listen to Dr. West as she explores and explains in details some of the health benefits by way of juicing, and also how to gain the maximum health benefits from it such as antioxidants.